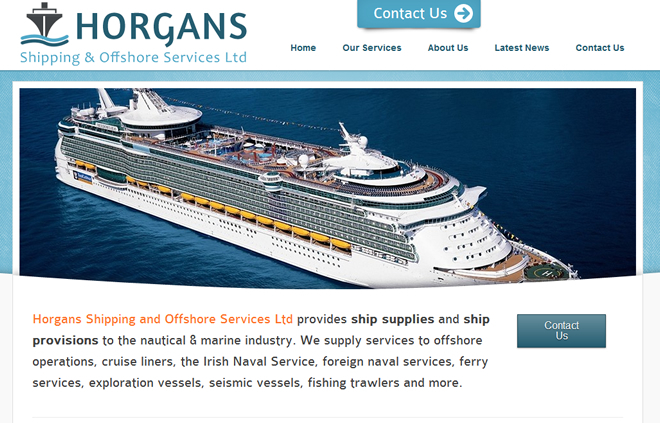 IrishShipsSuppliers.com is the re-vamped website of Horgans Shipping and Offshore Services Ltd. 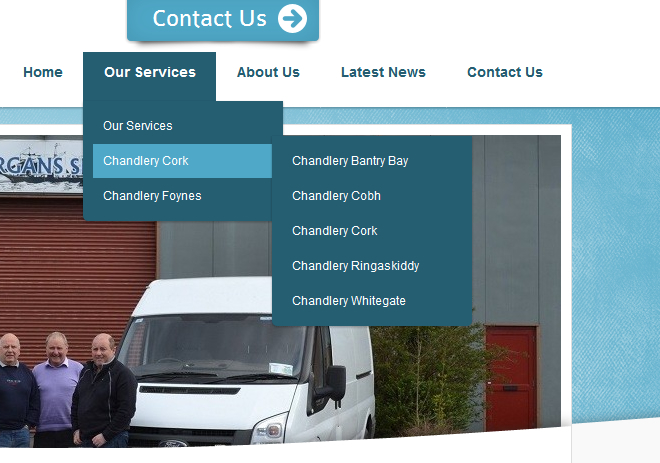 This website was created in partnership with webspringdesign.ie. Horgans Shipping wanted an updated web presence, and more importantly, high visibility on Google. After initial consultation meetings with Horgans Shipping, we identified keywords that they wanted to rank for on Google. We then analysed these keywords to see what the competition was like, and what the monthly search rates for those keywords were. We optimised pages on the site to include these keywords and have begun an online marketing strategy to promote their brand. Horgans Shipping and Offshore Services Ltd provides ship supplies and ship provisions to the nautical & marine industry. They supply services to offshore operations, cruise liners, the Irish Naval Service, foreign naval services, ferry services, exploration vessels, seismic vessels, fishing trawlers and more.